2-	It stopped or reduce the soil corrosion by the new plants in the barren zones . 3-	Reduce the deserting phenomena . 4-	The new plants can give fruits , which help the people . Plants , animals and human needed . 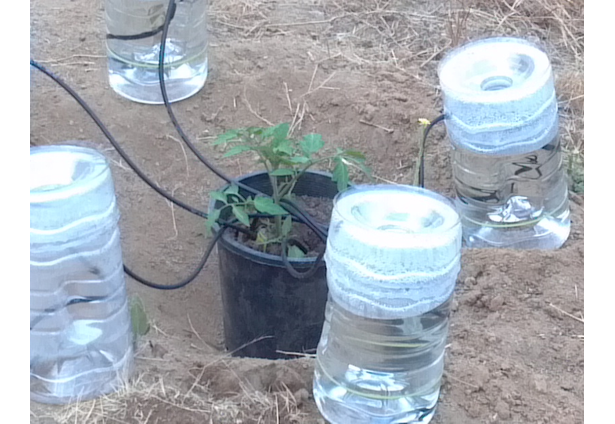 6-	The self irrigation container , are easy in exciting ,used and maintenance. By simple preparation near the SIC locations . 8-	Using the PVC recycling materials . only the ISC ,cover have to be special PV C material against the U V reduction . 9-	Using the waist rain water in efficient way . 10-	Green landscape , nice and cool nature . The U S A and all the world . the governments , the farmers , the agriculture and Irrigation companies , the landscapes co. , the foresting associations , the counties ..etc. The plastic factories & Irrigation co.